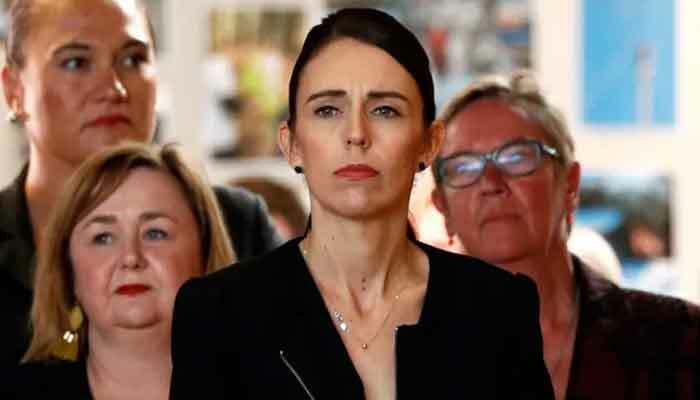 CHRISTCHURCH: New Zealand is banning the sale of assault rifles and semi-automatic weapons with almost immediate effect, Prime Minister Jacinda Ardern said Thursday, rapidly making good on a pledge to tighten the country’s gun laws. Ardern added that high-capacity magazines and devices similar to bump stocks -- which can make rifles fire faster -- will also be outlawed. Legislation enacting the restriction will be introduced in parliament when it meets in early April, but an interim measure means a ban on new purchases has -- for practical purposes -- already been enacted. "It’s a good thing, why would we need to have guns like this in our houses?" Kawthar Abulaban, 54, who survived the shooting at Al Noor mosque told AFP. "The semi-automatics, why would you keep that inside your house, it’s not right." For a second straight day, hundreds of mourners gathered under grey skies in the shattered city to lay to rest more of the dead, including a local convert to Islam and an elderly man who died trying to greet his white supremacist killer. Amid the prayers and sobs, there were Muslims, non-Muslims, schoolchildren and even at one point a phalanx of bikers. Milne, who was at Thursday’s funeral, had previously described his son as "a beautiful boy" and "my special little one" who longed to play for Manchester United. Mourners arrived at the cemetery in long lines, schoolgirls struggling to keep scarves on their heads in the windy conditions. One neighbor of the Milne family said the service was "very respectful, very moving" and attended by Muslims and non-Muslims alike. New Zealanders had already begun answering government appeals to hand in their weapons, prompting a barrage of derogatory messages online -- most apparently from the US, where the pro-gun lobby is powerful and vociferous. Families of the victims had faced days of anxious waiting to receive the bodies of their loved ones as criminal investigators and pathologists rushed to formally identify each person.